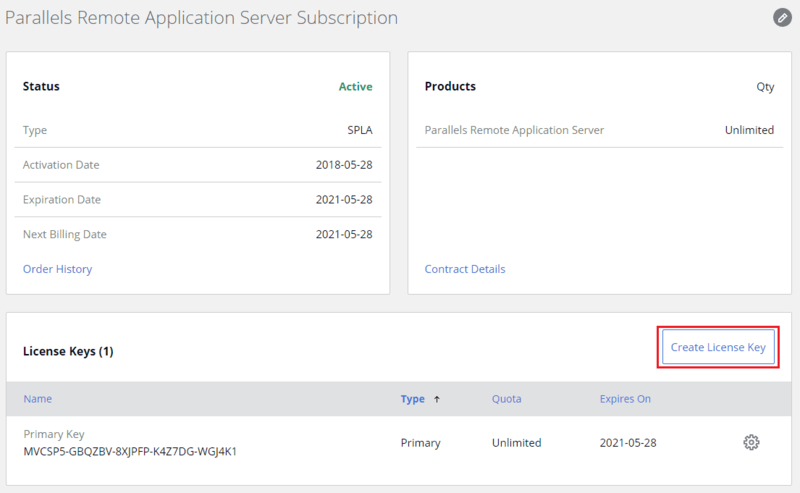 To create a Service Provider License Agreement (SPLA) sublicense for Parallels® Remote Application Server (RAS), you will need to log in to Parallels My Account. Please note in order to create sublicense keys, your Parallels My Account needs to be registered as a Business Account. 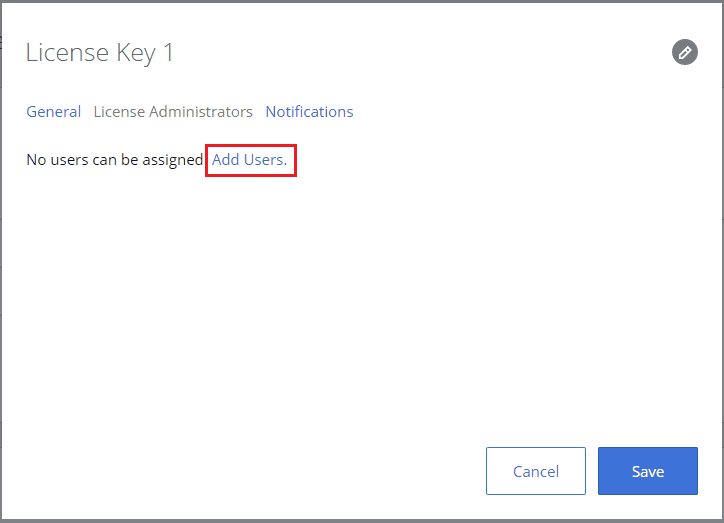 The following steps will guide you through the creation of a new sublicense key. Select your current active subscriptions. 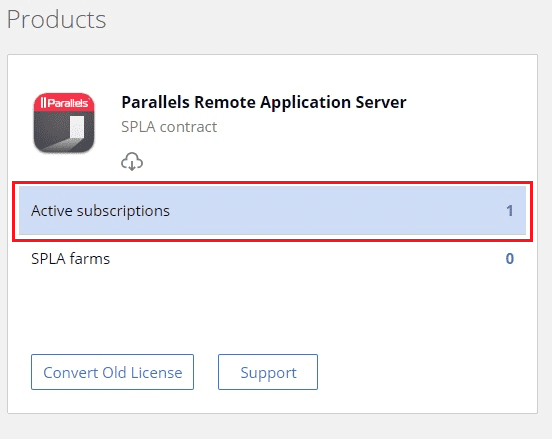 Select the SPLA you want to create a sublicense for. Click on the “Create License Key” button. 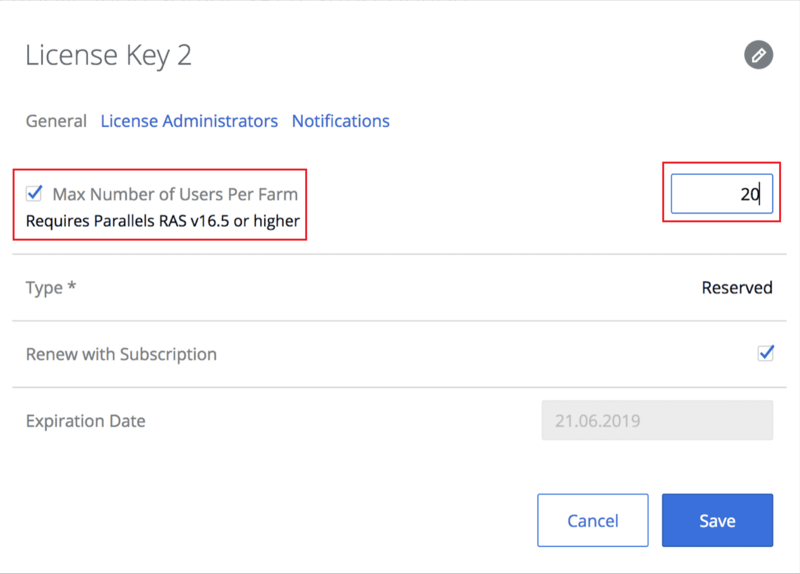 In this window, you have the option to set a max number of users per farm by enabling the checkbox and entering the number. 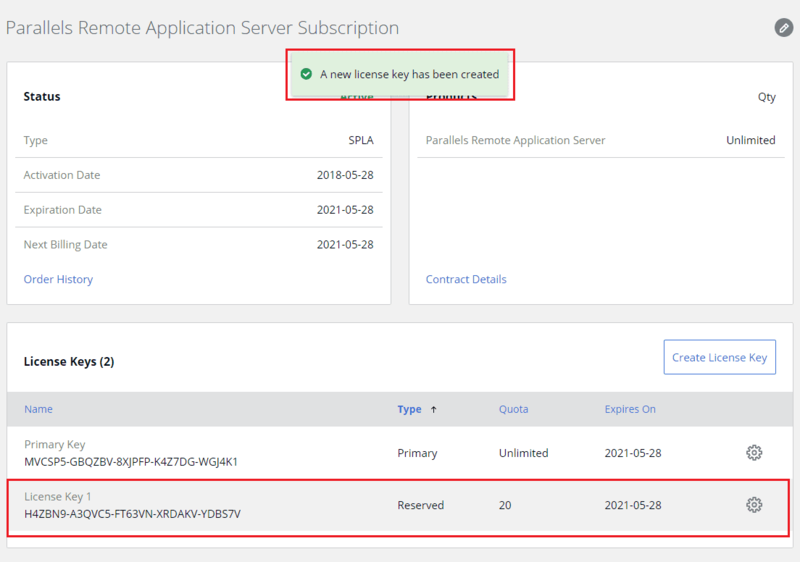 You can also add License Administrators that can manage the current sublicense. 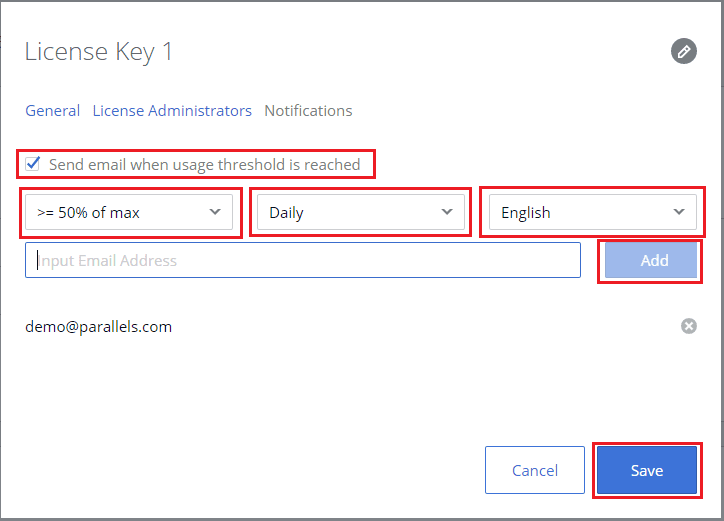 In the last option, you can set an email notification to be sent with certain rules, such as usage threshold, the interval of notification, and the language. 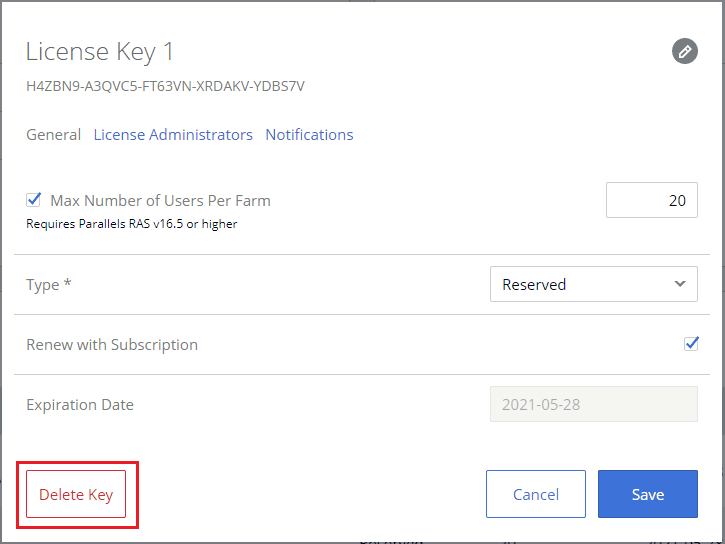 After clicking the Save button, you can view and edit your new sublicense key.